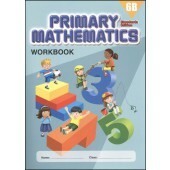 Primary Mathematics Workbook 6A. This is the US Edition. 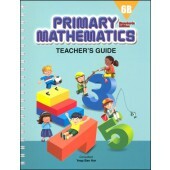 The Primary Mathematics U.S. Edition series of elementary math textbooks and workbooks is meant to be part of a system of learning in which adult supervision and independent practice go hand in hand. The main feature of this series is the use of the Concrete, Pictorial, Abstract approach. The students are provided with the necessary learning experiences beginning with the concrete and pictorial stages, followed by the abstract stage to enable them to learn mathematics meaningfully. 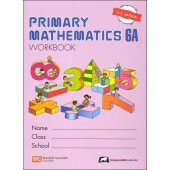 This approach encourages active thinking process, communication of mathematical ideas and problem solving. 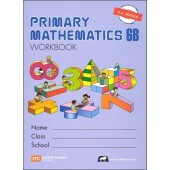 This helps develop the foundation students will need for more advanced mathematics. 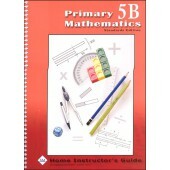 Primary Mathematics Teacher's Edition 6B. This is the US Edition (6th Gr. 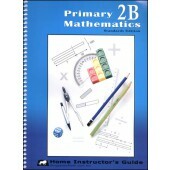 only) The Primary Mathematics U.S. 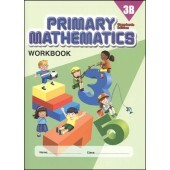 Edition series of elementary math textbooks and workbooks is meant to be part of a system of learning in which adult supervision and independent practice go hand in hand. The main feature of this series is the use of the Concrete, Pictorial, Abstract approach. The students are provided with the necessary learning experiences beginning with the concrete and pictorial stages, followed by the abstract stage to enable them to learn mathematics meaningfully. 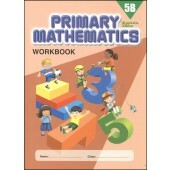 This approach encourages active thinking process, communication of mathematical ideas and problem solving. This helps develop the foundation students will need for more advanced mathematics. 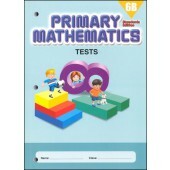 Primary Math Teacher's Edition 6A. This is the US Edition (6th Gr. 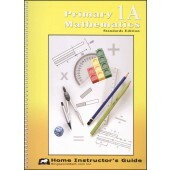 only) The Primary Mathematics U.S. 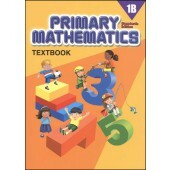 Edition series of elementary math textbooks and workbooks is meant to be part of a system of learning in which adult supervision and independent practice go hand in hand. The main feature of this series is the use of the Concrete, Pictorial, Abstract approach. The students are provided with the necessary learning experiences beginning with the concrete and pictorial stages, followed by the abstract stage to enable them to learn mathematics meaningfully. This approach encourages active thinking process, communication of mathematical ideas and problem solving. 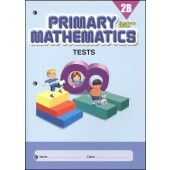 This helps develop the foundation students will need for more advanced mathematics. 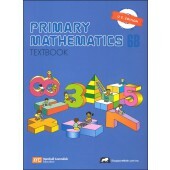 Primary Mathematics Text 6A. This is the US Edition. 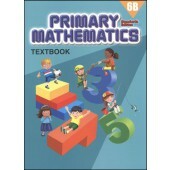 The Primary Mathematics U.S. 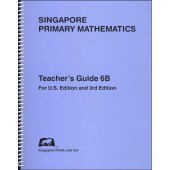 Edition series of elementary math textbooks and workbooks is meant to be part of a system of learning in which adult supervision and independent practice go hand in hand. The main feature of this series is the use of the Concrete, Pictorial, Abstract approach. The students are provided with the necessary learning experiences beginning with the concrete and pictorial stages, followed by the abstract stage to enable them to learn mathematics meaningfully. This approach encourages active thinking process, communication of mathematical ideas and problem solving. This helps develop the foundation students will need for more advanced mathematics. 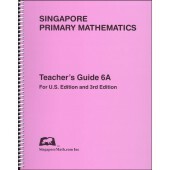 Singapore Math Workbook. This is the US Edition (6th Grade only). 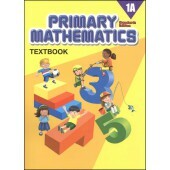 The Primary Mathematics U.S. 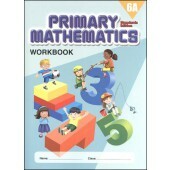 Edition series of elementary math textbooks and workbooks is meant to be part of a system of learning which adult supervision and independent practice go hand in hand. The main feature of this series is the use of the Concrete, Pictorial, Abstract approach. The students are provided with the necessary learning experiences beginning with the concrete and pictorial stages, followed by the abstract stage to enable them to learn mathematics meaningfully. This approach encourages active thinking process, communication of mathematical ideas and problem solving. This helps develop the foundation students will need for more advanced mathematics.